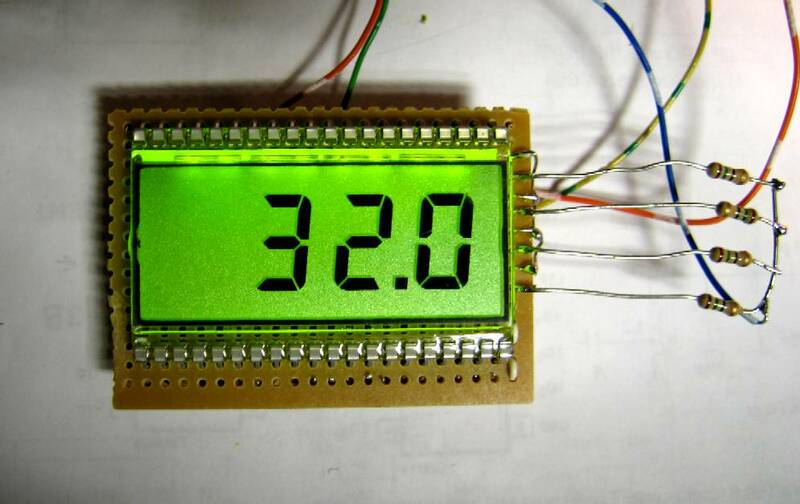 This is a successor of the PIC16C71 4-digit LED f-counter & V-meter. Some hard to find parts used in the previous version, which are out of production for some time, has been omitted. A rather early PIC16C71 has also been replaced by 28-pin device PIC16F876. 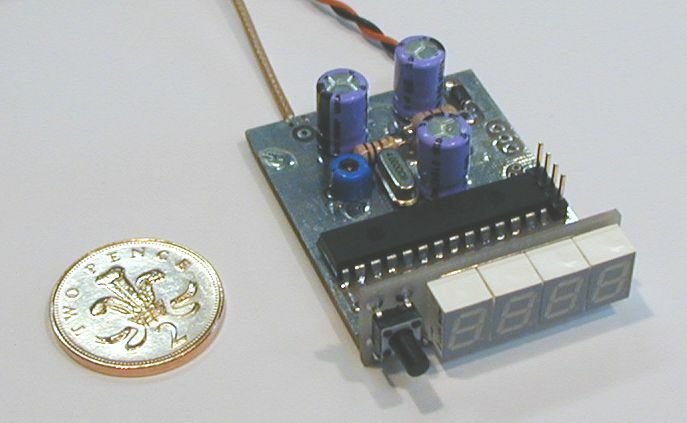 This frequency counter isn't the easiest to read, nicest, best frequency counter you can build. But if all you can find is a few 74HC390 and some ordinary 5mm red LED's, it does the job and is easy and fast to make! This is the support page for the simple frequency counter project in Homebrew, RadCom October 2006. The original design used a gate time of one second which gives a count resolution of 1Hz. Maximum input frequency is about 50MHz. 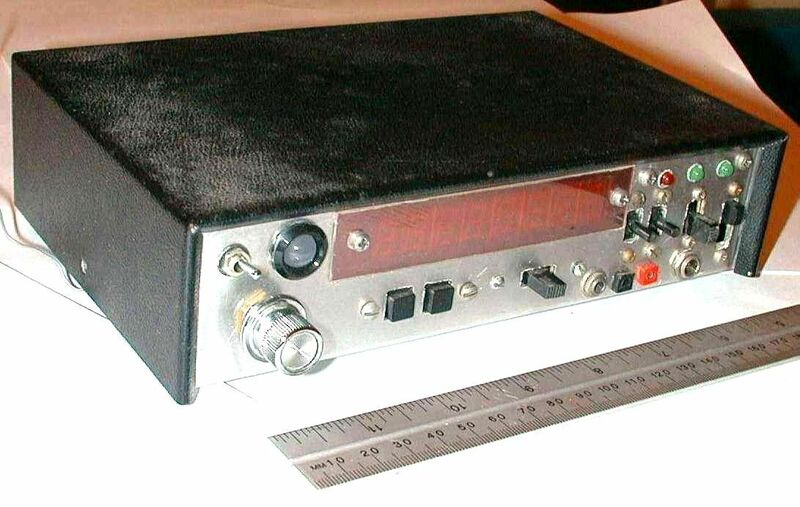 A VHF/UHF prescaler for this counter is described in Homebrew, RadCom February 2008. 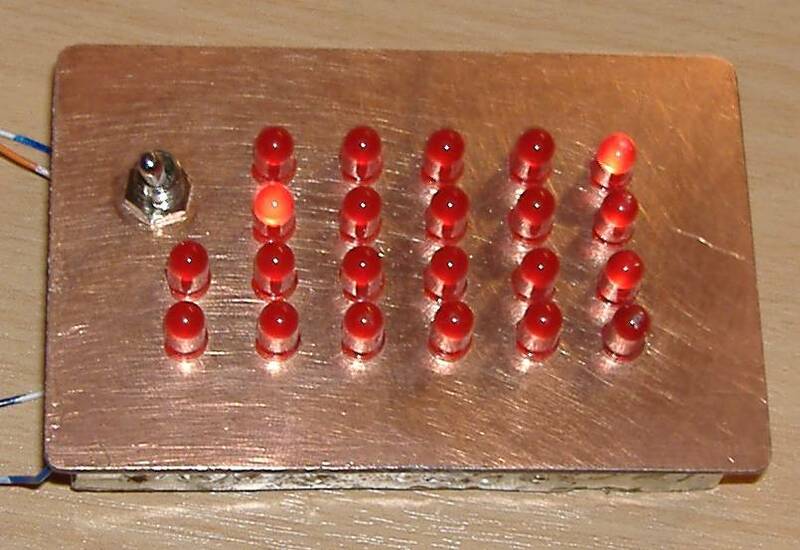 This was my first frequency counter project. It includes quite a number of useful testing features which were very useful when building other projects. De HF marker is een apparaatje dat een hoogfrequent grondgolf en een flink aantal harmonischen hiervan genereert. Met behulp van deze reeks marker-signalen kan eenvoudig een afstemschaal van een ontvanger of HF analyser gecalibreerd worden. In veel gevallen maakt dit simpele circuitje een duurdere frequentie teller overbodig. 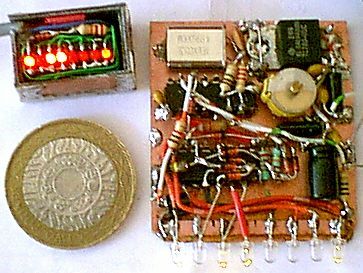 This frequency counter module is intended as a "digital dial" frequency readout for portable QRP radio tranceivers. It uses only six standard discrete logic IC's, i.e. no PIC or other microcontroller, no programming to be done, etc. We are introducing a low cost multifunctional seven digit LCD frequency counter, for your HAM radio shack. This frequency counter is designed in such a way that it can be used for direct frequency measurement or with any of the commercial / home made radio/transceiver as a digital frequency display. 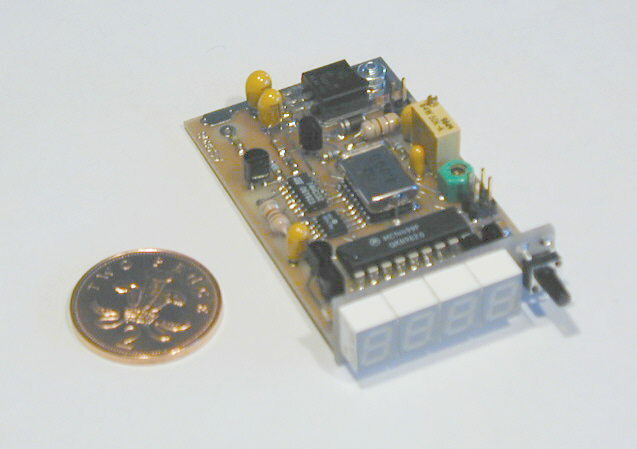 This very tiny frequency counter was built to fit inside the front panel of a radio tranceiver. It now occupies pride of place in the front panel of my HF Receiver, alongside my panel mounting clock. The NorCal FCC-1 is a highly flexible frequency counter that incorporates features not found in any comparable unit. Its small size allows it to be incorporated into your favorite rig and your battery will hardly notice its modest current requirement. 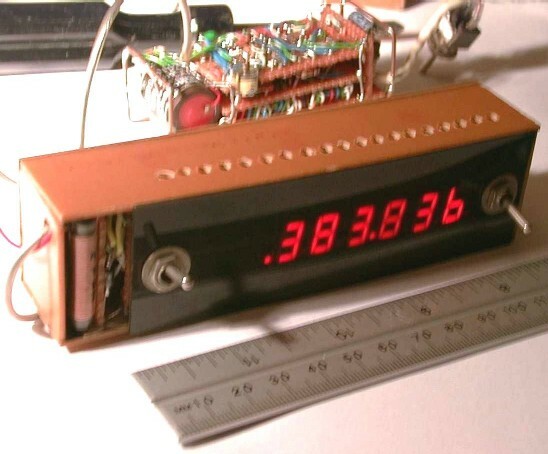 For the purpose to be used with QRP transceivers I have developed some frequency counters with different types of displays (from simple 8 LED display to 2 x 8 character LCD), but the f-counter described on this page I have found to be the most useful.